Township News - Derry Twp. Westmoreland Cleanways and Recycling, in partnership with Duracell and your local Fire Department, is distributing 9v batteries to households throughout Westmoreland County for residents to install in smoke detectors. Batteries are available at the Township Office, Monday through Friday, 7 a.m. to 3:30 p.m. Maximum 3 per household. The Township Supervisors of Derry Township will accept comments from the public beginning on June 25, 2018 and extending through July 25, 2018 associated with the Township's Pollutant Reduction Plan as required by the Pennsylvania Department of Environmental Protection as a component of the Township's PAG-13 National Pollutant Discharge Elimination System General Permit (NPDES Permit No. PAI136136) for Stormwater Discharges from Small Municipal Separate Storm Sewer Systems (MS4s). The Pollutant Reduction Plan outlines in general terms the Township's 5-year plan between 2018 and 2023 to reduce sediment loadings and nutrient loadings from its MS4 stormwater discharges into the Loyalhanna Creek and its tributaries, and the Conemaugh River and its tributaries. The Pollutant Reduction Plan will be available for public review Monday through Friday between the hours of 7:30 AM to 3:30 PM at the Derry Township Municipal Office located at 5321 Route 982 Derry, PA 15627. The Pollutant Reduction Plan is also available for public review on the Township's website click here. Comments may be provided in writing and delivered in person or via e-mail or regular mail and addressed to the Derry Township Supervisors. 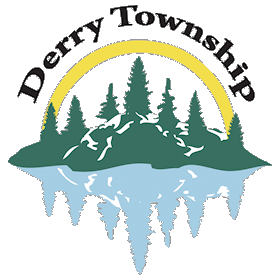 The Township will accept comments from any interested member of the public at the regularly scheduled meeting of the Derry Township Supervisors on July 3, 2018 at 7:00 PM. The new 2018 Township Map & Guides are being mailed out to residents this week. If you do not receive or need additional copies, they are available at the Township office located at 5321 Route 982, Derry, PA 15627. ATTENTION PARENTS: The Reality Tour is a program every family needs to attend. Parents can increase the substance abuse factor by 75% if you have ongoing discussions about alcohol and drugs. SEPTEMBER THROUGH APRIL: Held at 6 p.m. the 3rd Wednesday of each month at the Latrobe Municipal Building, 901 Jefferson Street, Latrobe, PA.
For information email: latroberealityttour@gmail.com or call 724/396-0467 REGISTER TODAY! www.RealityTour.org Pre-registration is required. NOW! Your curbside recycling program accepts cartons for recycling! HOW? Simply place empty cartons in your recycling bin with your plastic, metal, and glass containers. WOW! The bales of recycled cartons are shipped to paper mills, where cartons are mixed with water in a gigantic blender to extract all the paper fiber. These recycled carton paper fibers are a valuable resource for making products such as recycled paper products and even building materials. All outdoor wood-fired boilers sold or purchased after May 31, 2011, must be "phase 2" boilers, be installed at least 50 feet from the nearest property line, and have a permanently attached stack that is at least 10 feet above the ground. Outdoor wood-fired boilers sold or purchased before Ocober 2, 2010, must comply with PA Department of Environmental Protection regulations requiring that only the following be burned: clean wood; pellets made from clean wood; home hearing oil, natural gas, or propane that complies with applicable sulfur limits and is used as a starter or supplemental fuel for dual-fired outdoor wood-fired boilers; and other types of fuel approved in writing by DEP upon receipt of a written request. If a property that includes an outdoor wood-fired boiler installed before October 2, 2012, is sold or transferred, the new owner does not have to comply with DEP regulations for property line setback and smokestack height. Please refer to Title 25 of the Pennsylvania Code 123.14. Derry Township residents have two garbage haulers that will pickup weekly. You may now file for Retirement, Medicare, or Disability Benefits online; request a Statement of Benefits; request a replacement Medicare Card among several other services by using Social Security's online services. Go to our "links page" under RESOURCES and click on the address. All houses, sheds, garages, barns, greenhouses, building for housing household pets, children's play equipment, and swimming pools (including, but not limited to, play sets, playhouses, trampolines) shall be subject to the above setback line. For further information, please contact the office at 724/539-2961. Information and applications for Pennsylvania's Low Income Home Energy Assistance Program (LIHEAP) are available by contacting the Westmoreland County Assistance Office at 724/832-5524. Residents may also apply online at www.compass.state.pa.us. The toll-free statewide LIHEAP hotline is 866/857-7095. LIHEAP cash grants can be used to help pay regular monthly heating bills. This year the program is offering grants from $300 to $1,000 for families that qualify. To qualify, a household of one can earn up to $17,328; a family of four can earn up to $35,280 and qualify. More information and complete income-eligibility guidelines are available online at www.dpw.state.pa.us/forfamilies/liheap/index.htm. PENNDOT TOLL FREE NUMBER - PENNDOT has a 24-hour toll free number for residents to call to report any road maintenance concerns. This number can also be utilized to report locations of dead deer on state highways. The number is 1-800-FIX ROAD (1-800-349-7623). Prohibited: All recyclable materials, leaf waste, garbage, tires, and furniture. Use of accelerant is prohibited. Burning is permitted in Derry Township unless a burning ban has been issued by the Township Ordinance Officer. A burning ban will be issued at the request of the Derry Township Supervisors or at the discretion of the Township Ordinance officer if dry weather conditions dictate a need for a burning ban. No person shall leave any open fire unattended or SMOLDERING!! No burning is permitted on Holidays. Derry Township opted-in to the Uniform Construction Code (Act 45) on July 1, 2004. Building Permits for commercial and residential projects are issued by Building Code Officiea, Merle Musick. Building Permit Applications are available at the Municipal Building Monday through Friday during normal business hours or by contacting the office at 724/539-2961. Remember to recycle your newspapers, catalogs, magazines, and junk mail in the green & yellow containers provided for you at the Derry Township Municipal Building. We want to "Gain Weight" in 2010! !